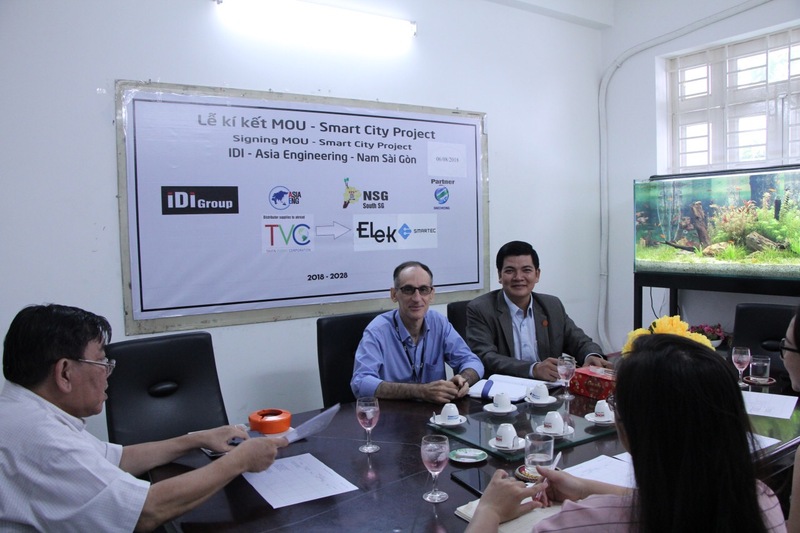 On 06 August, 2018, the signing ceremony of the Smart City and Smart Home projects, research of Smart Solutions for agriculture and aquaculture in three provinces (Ha Tinh, Nha Trang, Ben Tre) and the process if implementing technology 4.0 was happened at the International Cooperation Office No. 112/3 Pho Quang, Phu Nhuan district. 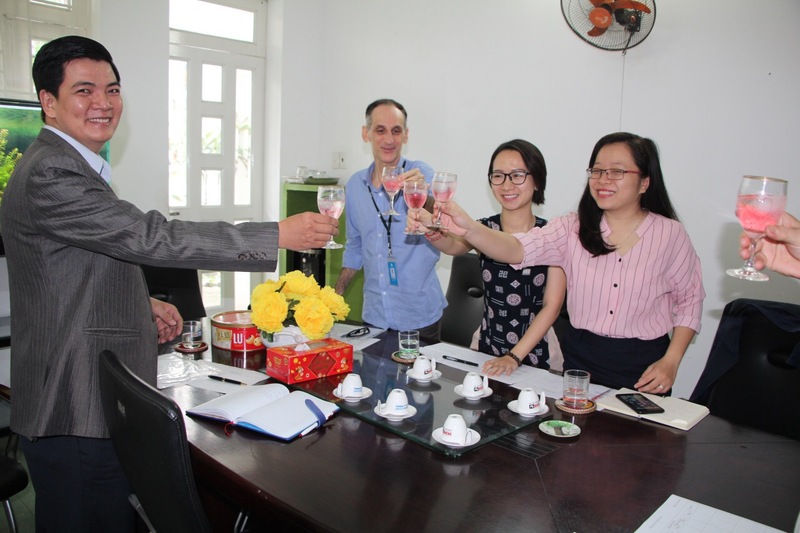 At the signing ceremony was attended by Dr. Moc Que, who chaired the signing ceremony with Mr. Tran Hoai Nam- Chairman of the Board of Directors of Thien Van Trading Joint Stock Company. Mr. Marc BREGEAULT – CEO of ELEK and SMARTEC. 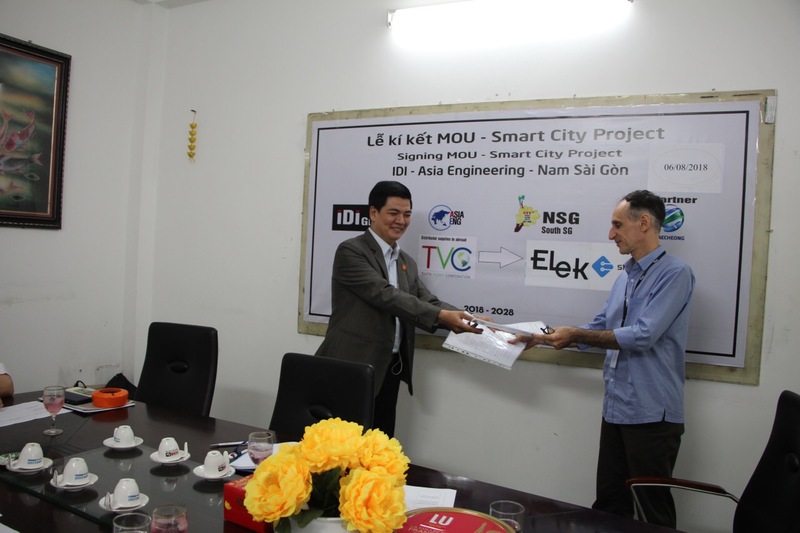 Moreover, the project also has the cooperation of other partners such as I.D.I International Development & Investment Corporation, South Saigon Development, Asia Engineering Company. ELEK is a company specializing in designing and manufacturing lighting products. SMARTEC is a company specializing in designing, executing M & E and providing Smart Connected Solutions. 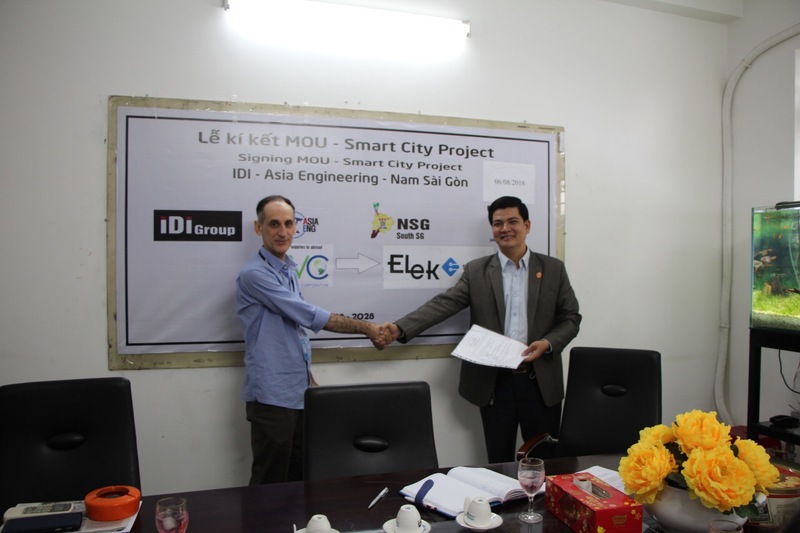 Participating in these projects, ELEK and SMARTEC have introduced Smart Connected Solutions and IoT ( Internet of Things). SMART CONNECTED PLATFORM (SCP) is the foundation of technology that SMARTEC has developed with applications for Smart Street Lights, Air Quality Analyzers, Energy Bollards, and Lampposts. This is one of the steps to promote the cooperation for each partner to joint in the project in order to put into practice. This is a great opportunity and challenge for ELEK and SMARTEC develop the technology 4.0 to provide smart solutions that help businesses. It also helps to improve the life quality for the community. Some photos at the ceremony. Know more about the Smart Connected Platform (SCP).